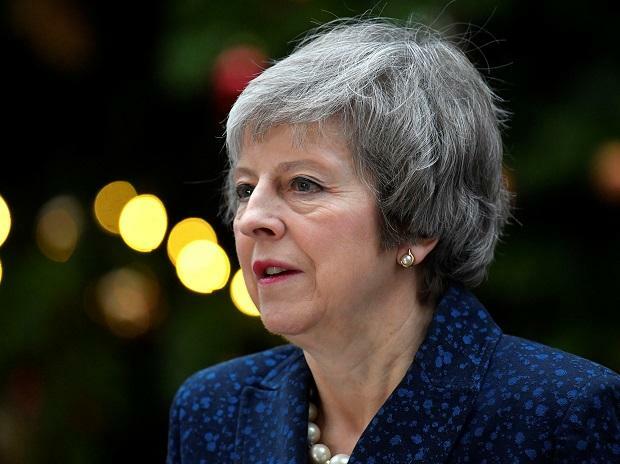 Brexit-supporting lawmakers who voted down British Prime Minister Theresa May’s European Union (EU) withdrawal deal in January have outlined demands for a revised treaty to ensure their support, the Sunday Times said. Lawmakers overwhelmingly rejected May’s deal in January. Many were unhappy with the “Irish backstop”", insurance to prevent return of hard border controls between EU member Ireland and British-ruled Northern Ireland. Critics said it could leave the country tied to EU rules indefinitely. Britain, due to exit the bloc on March 29, is attempting to amend the deal to provide assurances that the backstop would not be indefinite. The Sunday Times said hardline Brexit supporters from May's Conservative Party had drawn up a document outlining three tests the deal must pass to gain their support. These are a "clearly worded, legally binding, treaty-level clause which unambiguously overrides" the text of the withdrawal agreement, with language that goes beyond emphasising the temporary nature of the backstop and a clear means to exit the backstop if subsequent trade talks fail. The paper said the plan had been drawn up with the support of the Democratic Unionist Party, the Northern Irish party which props up May's minority government. If May secures the demands, she would win the backing of the DUP and the Brexit-supporting lawmakers in a vote on the deal which she has promised would be held before March 12, the Times said. The EU's chief negotiator Michel Barnier said on Friday that the bloc was ready to give Britain more guarantees that the backstop was only intended to be temporary and used for a "worst-case scenario". "We know that there are misgivings in Britain that the backstop could keep Britain forever connected to the EU," Michel Barnier said in an interview with Germany's Die Welt newspaper. "This is not the case. And we are ready to give further guarantees, assurances and clarifications that the backstop should only be temporary." In a further sign that former opponents of May's deal might now back a revised version, Graham Brady, a senior Conservative lawmaker, said he would support it with legally binding assurances on the backstop. "Once we have that, my colleagues in parliament need to recognise the strength of feeling," he wrote in the Mail on Sunday newspaper. "The whole country is tired of vacillation and delay. When the right compromise is offered, we should pull together behind the Prime Minister and help her to deliver our exit from the European Union on March 29."